We know that as a woman leader you invest a lot in those around you, and we want to support you in investing in yourself and your future. 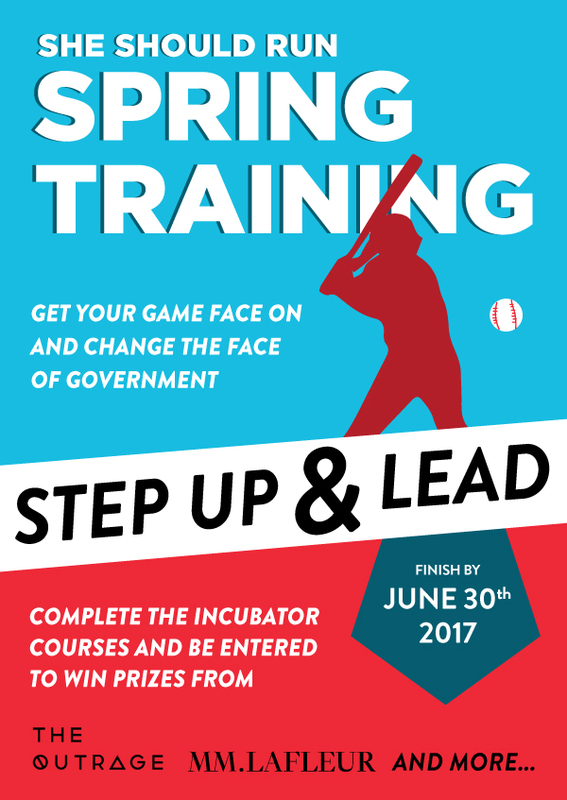 That’s why we launched She Should Run’s Spring Training: a 10 week plan to help you complete the Incubator courses (May 1 to June 30). The race to equal representation is a marathon, not a sprint, right? So let’s do this. It’s clear that each of you is ready to lead, and carving out time for your journey to public leadership can be challenging. Based on the results from a recent survey, we came up with a game plan so you’re spending no more than 2 hours a week on the Incubator courses--less than 14 hours from May 1 to June 30. Whether you’re planning to run in the fall or in a few years, now is the time to prepare. And when the time comes to suit up, you’ll be ready. We're here to help keep you on track as you explore your path to elected leadership. A little bit each week goes a long away. From now until the end of June our team will support you through all the Incubator courses. 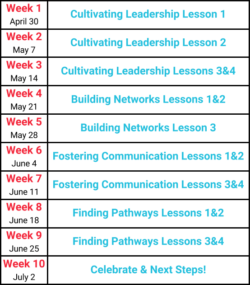 We are holding weekly accountability calls AKA “Huddles” on Wednesdays at 3pm ET so we can discuss your progress during the week and answer any questions (register here). We've got things to sweeten the deal too, like gifts from MM.LaFleur and She Should Run swag from Outrage for some lucky graduates (more to come)! Got Questions? We got answers (9 times out of 10). Send Sofia Pereira, Community Manager, an email at community@sheshouldrun.org if you have any questions or thoughts to share.